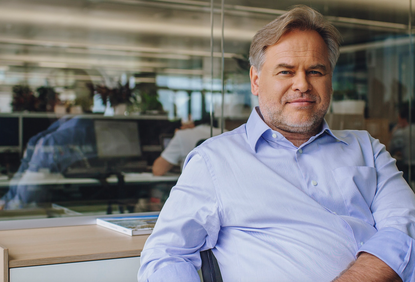 Kaspersky Lab plans to take further action against Microsoft over anti-trust complaints, despite the software vendor having taken a “few practical steps in the right direction”. In a blog post published on 2 May, the cybersecurity software vendor’s CEO, Eugene Kaspersky, revealed that the company is planning to file a complaint against Microsoft with the European Commission “in the near future”. The announcement comes more than half a year after Kaspersky Lab lodged a complaint with Russia’s Federal Antimonopoly Service (FAS) accusing Microsoft of using its in-built Windows Defender to block rival security products. In November last year, FAS revealed it had opened a case against Microsoft in response to Kaspersky Lab’s complaint. Specifically, it said that Microsoft “significantly” cut down the period for adapting compatibility of antivirus software developed by third parties for the Windows 10 operational system from two months to six calendar days. “Kaspersky Laboratory…complained about such Microsoft actions because the process of adapting antivirus software plays the key role in timely release of software versions compatible with the operational system, which, in its turn, determines their fully-fledged performance on devices,” FAS said. FAS deputy head of FAS, Anatoly Golomolzin, said at the time that, since Microsoft itself develops antivirus software – Windows Defender, which switches on automatically if third-party software fails to adapt to Windows 10 in due time – such actions lead to “unreasonable advantages” for Microsoft on the software market. “Our task is to ensure equal conditions for all participants on this market,” he said. Now, seven months after he revealed the complaints against Microsoft, Kaspersky has weighed in on the matter once again, this time conceding that Microsoft has, indeed, made some changes, despite the software giant disagreeing with Kaspersky’s claims. “But facts are stubborn things, and despite the formal denials, Microsoft has, in fact, taken a few crucial steps toward rectifying the situation,” Kaspersky said. “And it looks like our actions might have helped encourage Microsoft to do so. “Of course, there’s still more that needs to be done, but this is at least a good start toward ensuring that consumers have the chance to choose the best cybersecurity solution for them specifically,” he said. Among the steps Kaspersky claims Microsoft has taken since the complaint was first lodged include changes to the Windows Defender PC status page and moves to let independent anti-virus developers warn users about subscription expiry. “I don’t know for sure the precise reasons these changes made by Microsoft have occurred,” Kaspersky said. “It can’t be ruled out that Microsoft has been analysing the situation and is changing a few things independently from our claims; however, this is not the first instance of conflict the company has experienced with independent developers. “The path now being taken by Microsoft appears to be moving it in the right direction. “But we’re not stopping there, and will continue to insist on healthy – I repeat: healthy – competition, amid which all market participants have equal opportunities,” he said. Kaspersky suggested that, while the changes Microsoft has made thus far have been positive, there are more than a dozen other issued that the security vendor presented to FAS that are yet to be addressed. But he remains hopeful that these lingering matters will be resolved. Regardless, Kaspersky said the company plans to take its complaints further if necessary. “We remain open to discussing these issues in detail with Microsoft to try to find effective resolutions as quickly as possible,” Kaspersky said. “There’ll also surely be more FAS meetings as many details still need clarifying. “Meanwhile, we’re still planning to file a complaint with the European Commission in the near future,” he said. The anti-trust proceedings come as Kaspersky Lab UK continues its efforts to recoup millions of dollars it alleges it is owed by the Australian-based distributor formerly known as Hemisphere Technologies, which was placed into liquidation in January.